I have bought one "XBOX360 controller for windows" (wired) to try playing Geometry Dash with a controller for a change, and have used it for a load of other games (MUGEN, PSX emulator games, some parts in the Danganronpa series, just shapes and beats...), and lately, a lot of Dragon Ball FighterZ, all of those games on PC. 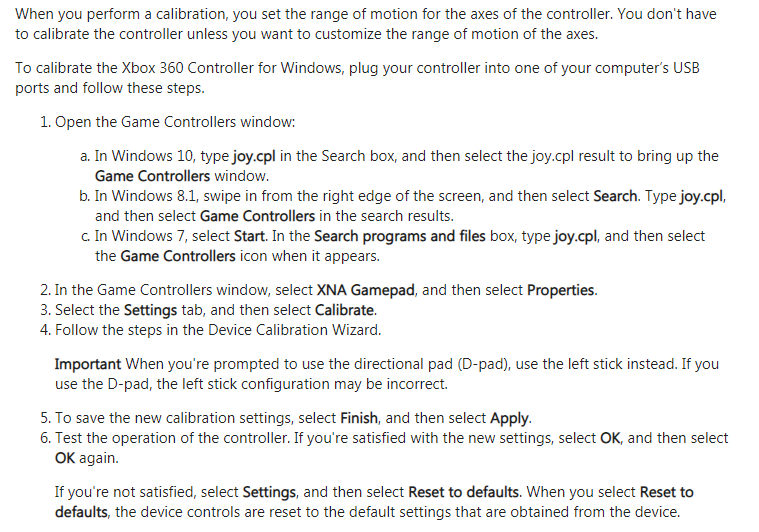 I have noticed that sometimes, the direction goes up, and when checking the controller's behavior on x360ce, I see that the left analog stick is going full up (not physically though), and I sometimes need to smack the controller on the side to reset the position. But anytime I touch the left analog stick, it goes full up again. I have already tried opening the controller and blowing its insides, but to no avail. Annoyed by that behavior, I bought another one of those controllers, and now, I suspect it so start behaving the same way. For further info, I used to plug the controller on an USB-3 port, in case maybe the port I plug it into is sensitive to some other signal. What would cause that behavior to happen and how could I fix it? For future reference smacking the controller (or "percussive maintenance" as I like to call it) is usually overkill for this issue. Most of the time you can fix it by simply pulling the analog stick out from the controller, don't go so far as to pull the stick out of the controller though as that will cause further problems. Are there any tips for improving driving skills in racing games using an analog stick controller? Playstation 4 controller d-pad jammed. Xbox 360 controller axis doesn't go back to zero (or center)? Use an xbox controller with MAME for light gun games?